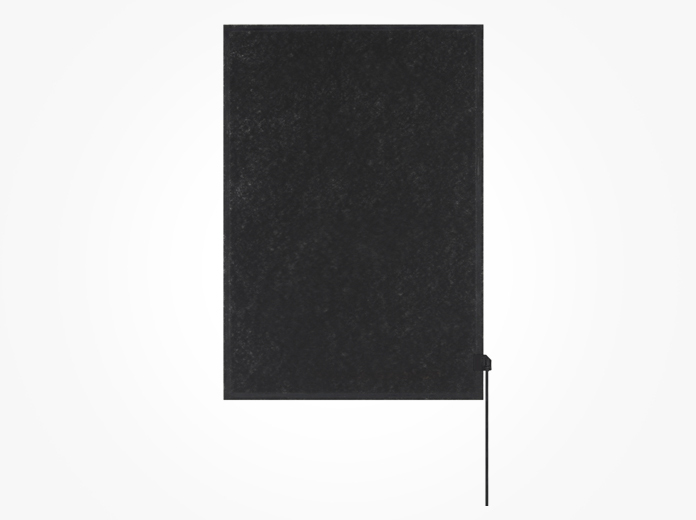 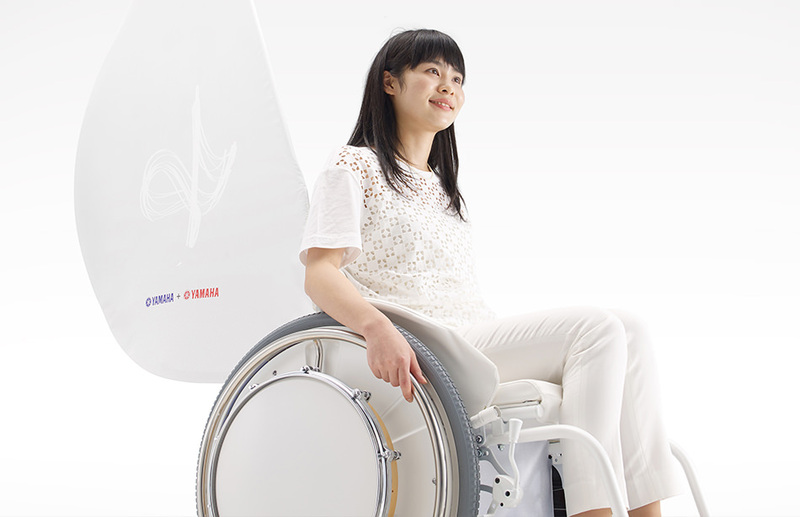 &Y01 - Yamaha Motor Design | Yamaha Motor Co., Ltd. 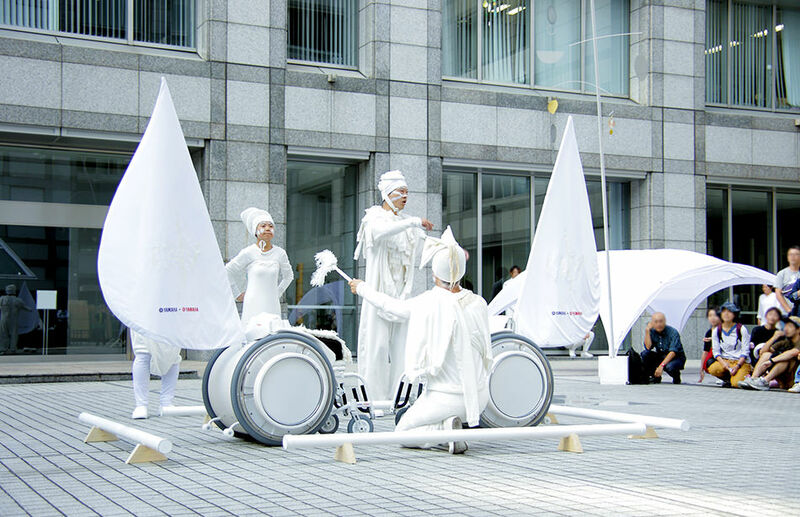 This video depicts a performance related to the "&Y01" concept model, and does not depict the use of the JW Swing. 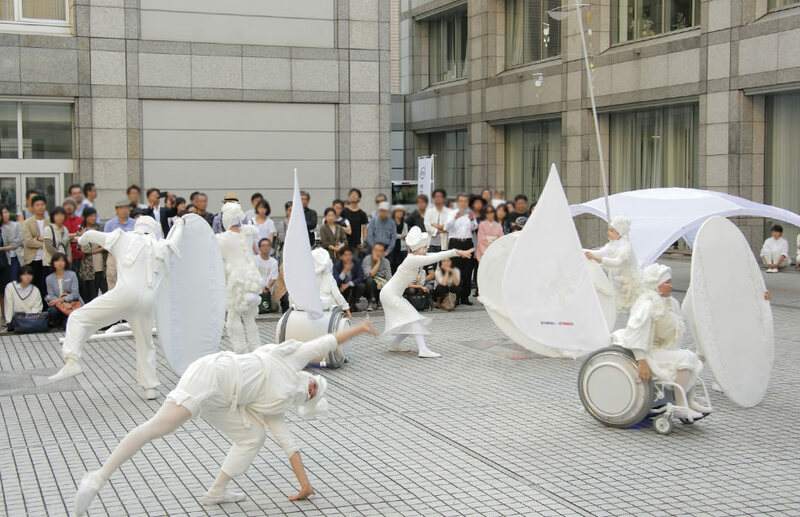 This performance also differs to that of SLOW LABEL. 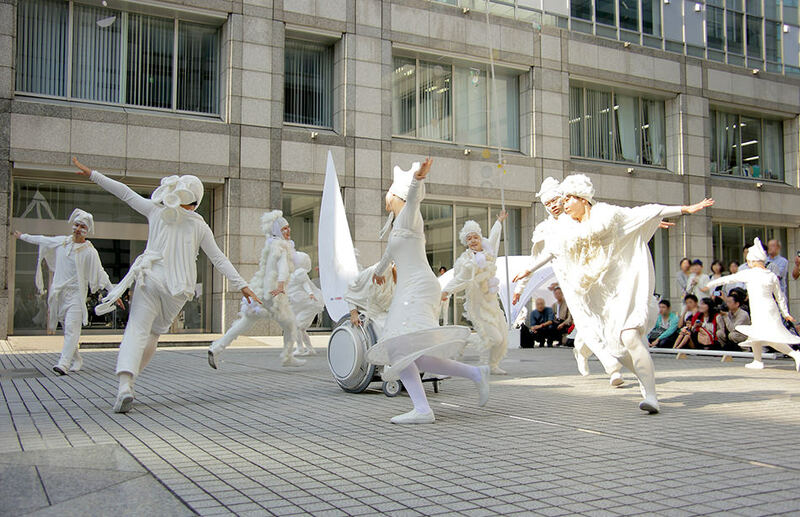 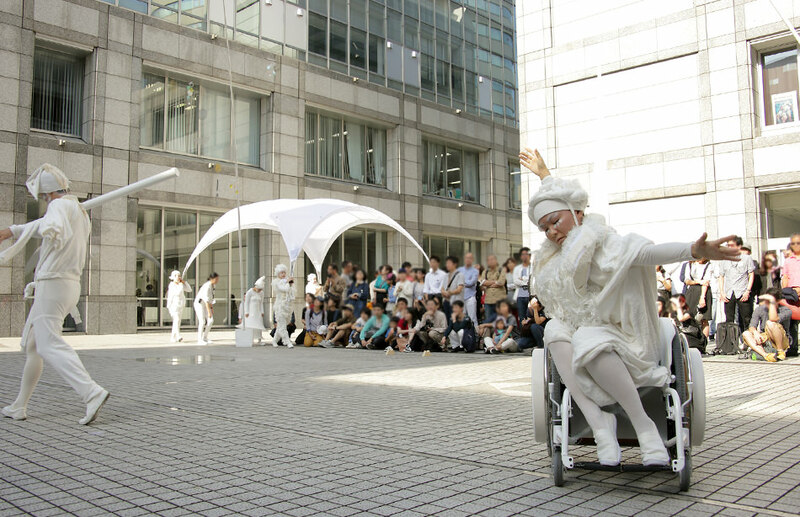 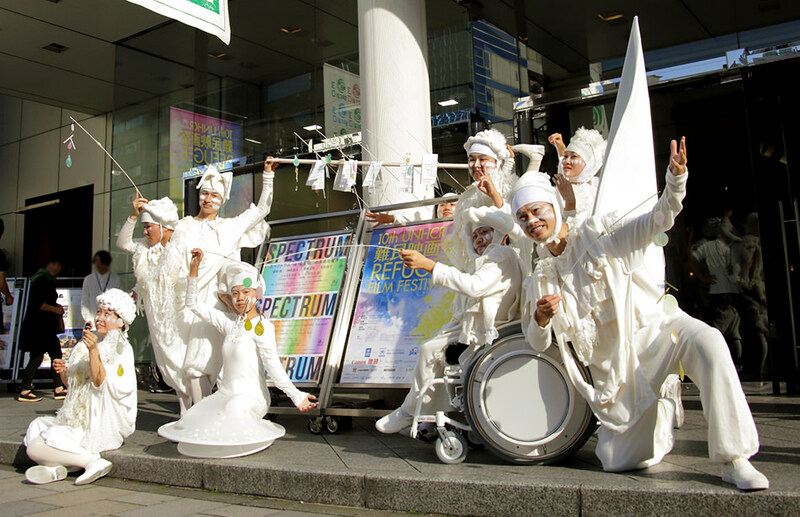 View a slideshow of scenes from a performance by SLOW MOVEMENT. 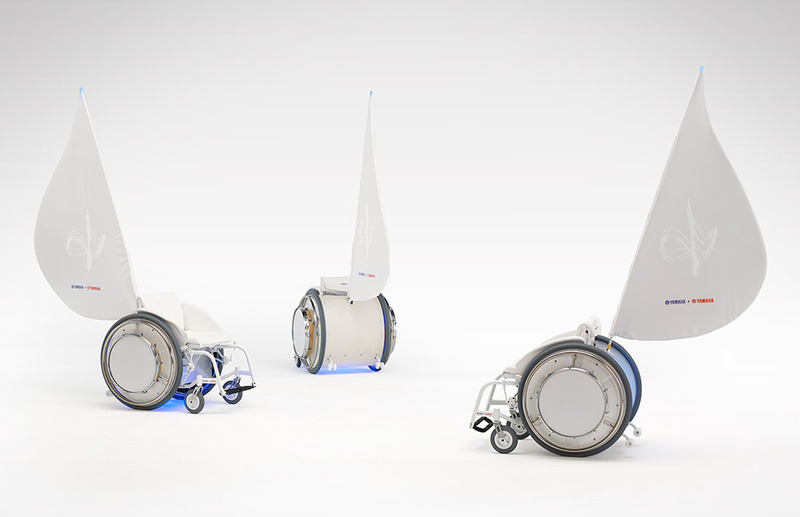 JAPAN - The design teams of Yamaha Corporation and Yamaha Motor Co., Ltd. have joined forces to work together to design a project under a single theme - &Y (Andy). 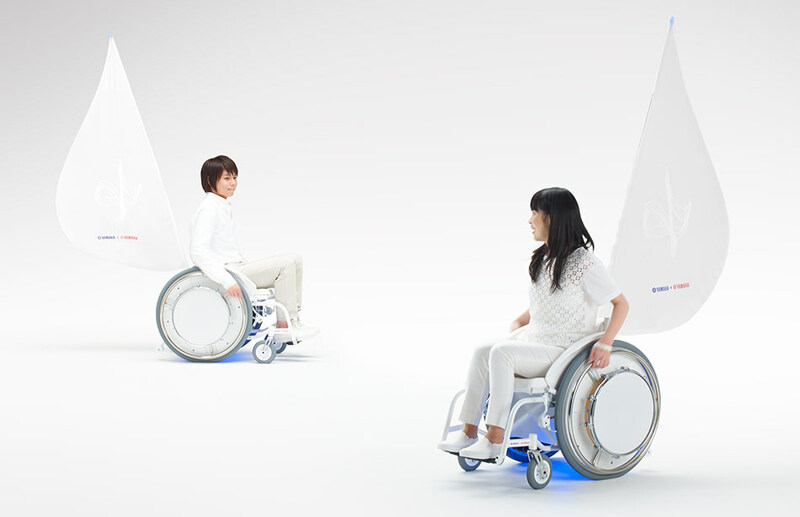 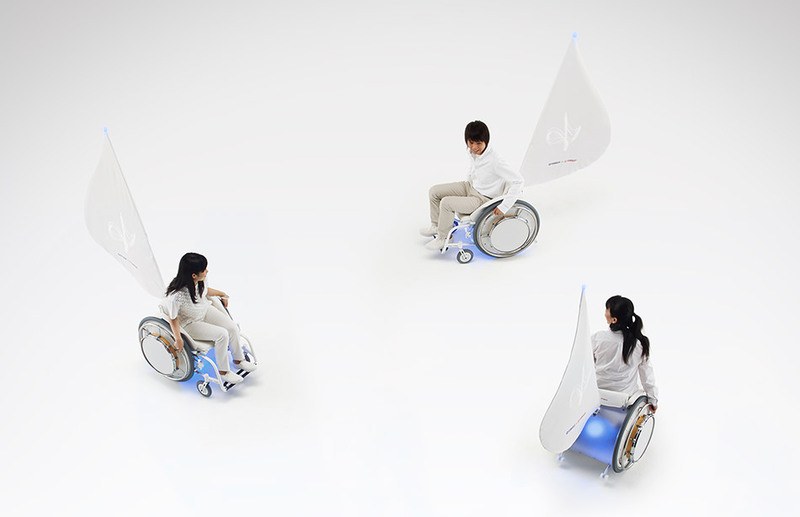 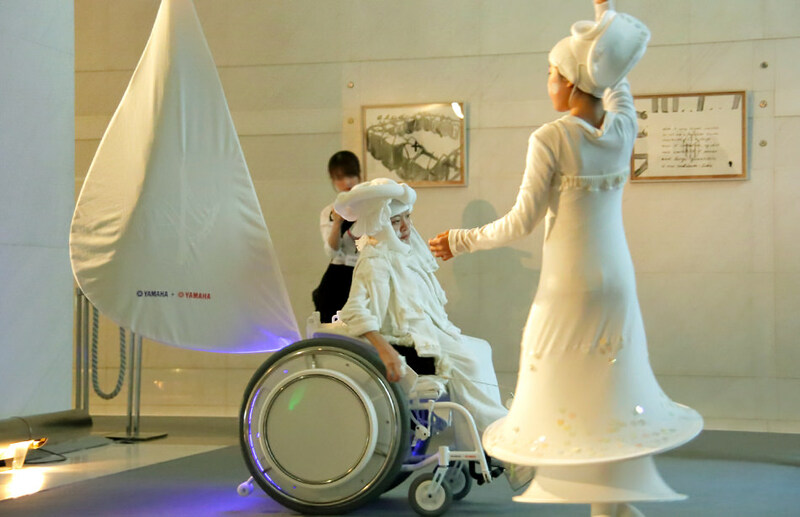 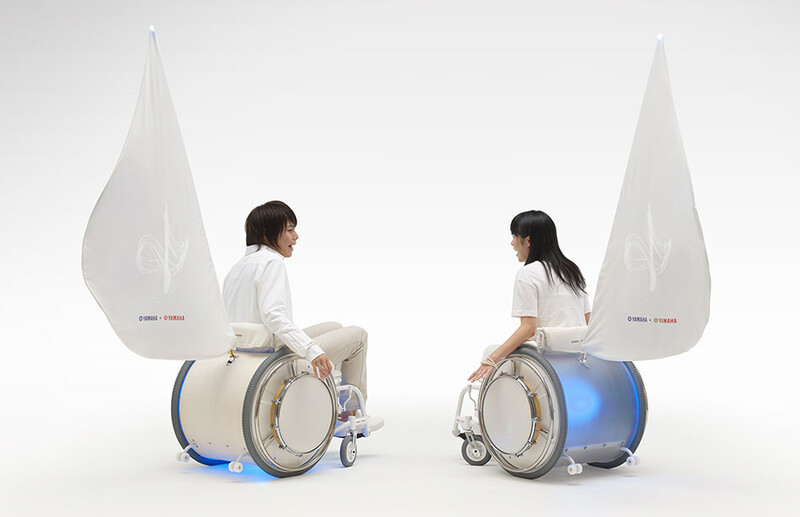 With "&Y" the two companies have designed the "&Y01", an electrically power-assisted wheelchair that plays music, and so far have produced three concept models. 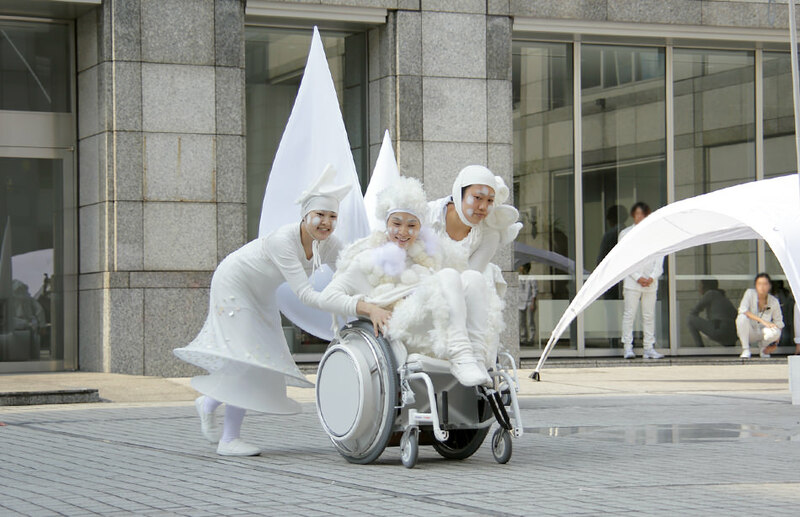 These models will be used in performances of "SLOW MOVEMENT - The Eternal Symphony" by the NPO "SLOW LABEL", an initiative which links local and international artists and designers with businesses and welfare facilities in crafting new products and concepts that make the most of their distinctive characteristics. 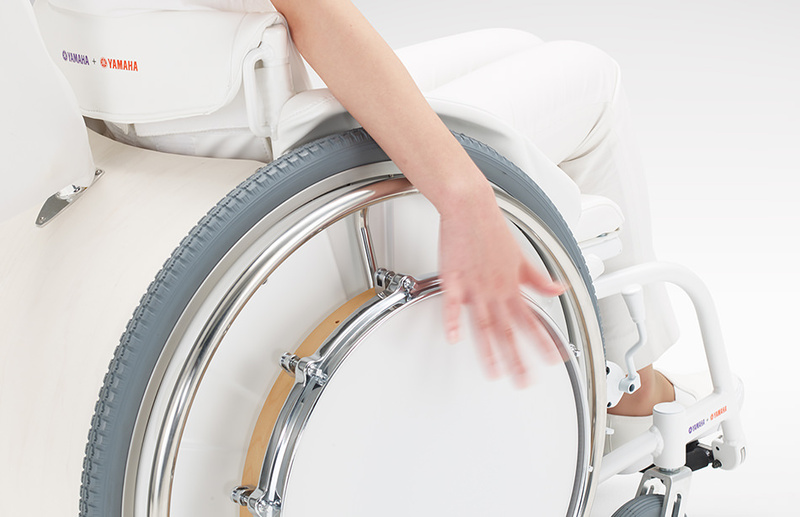 The power-assist function of the pure-white JW Swing makes travel so light and smooth it is as if someone is pushing from behind, giving the rider a feeling of elation that is enough to make them break into song. 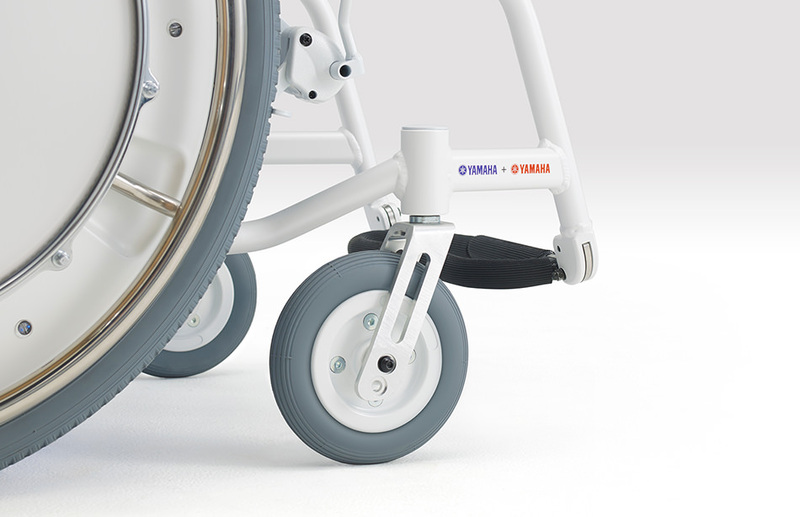 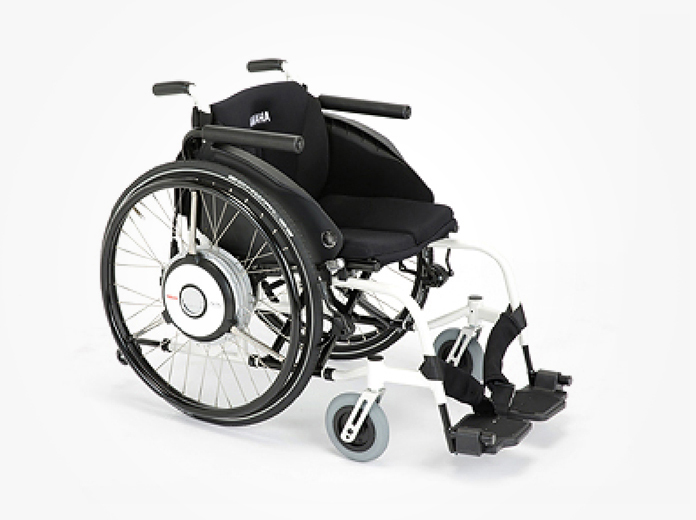 Installed on either side of the wheelchair are slim percussion instruments that enhance the performer's expression, and coupled with a battery case in the shape of a drum frame, Yamaha has truly created a wheelchair that gives the rider the experience of riding a musical instrument. 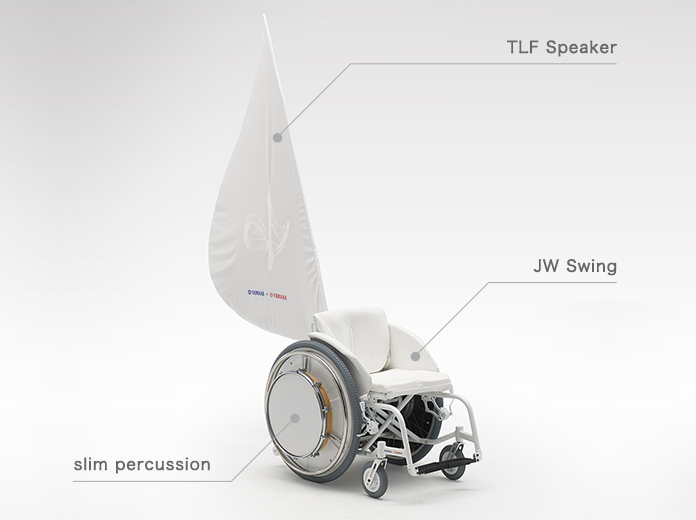 Boasting TLF Speakers modeled on a ship's sail, the silhouette of the wheelchairs is reminiscent of a 1/8th note, expressing the enjoyment of performing freely. 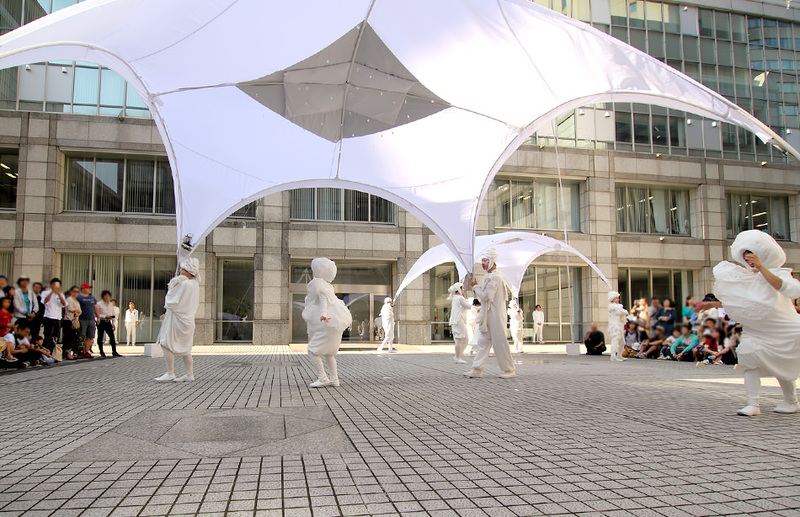 *Click the images to view a slide show.